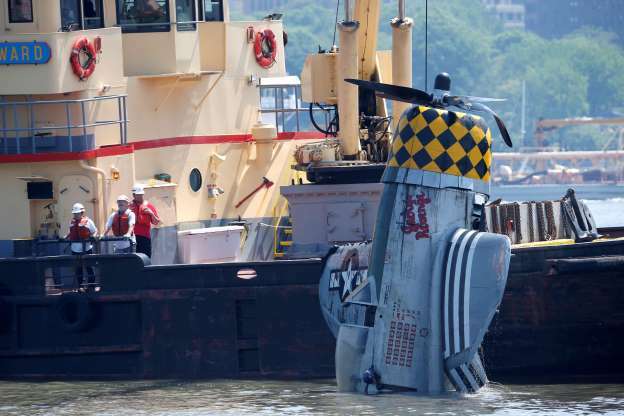 © (AP Photo/Julio Cortez) The P-47 is pulled out of the Hudson on Saturday, 28 May 2016. World War II is very much alive, or at least its artifacts are. It can be jarring to be pulled from events of 1940 to 2016 all of a sudden, but this is a living, breathing subject with relevant events happening today and tomorrow. © (AP Photo/Julio Cortez) This shot gives a good idea of the plane's size. As most readers of my blog probably know already, the Republic Aviation P-47 Thunderbolt was one of the primary fighters of World War II. It served on all fronts and also with allied air forces in France, Britain, and Russia. 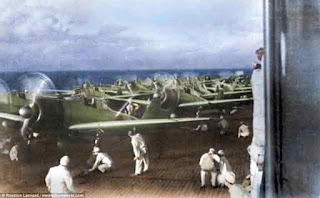 There were Mexican and Brazilian squadrons who operated squadrons. The Thunderbolt is one of the least-appreciated fighters of the war, because the Supermarine Spitfire, P-51, the Mitsubishi Zero, and a bunch of Luftwaffe fighters get all the press. It helped win the war. 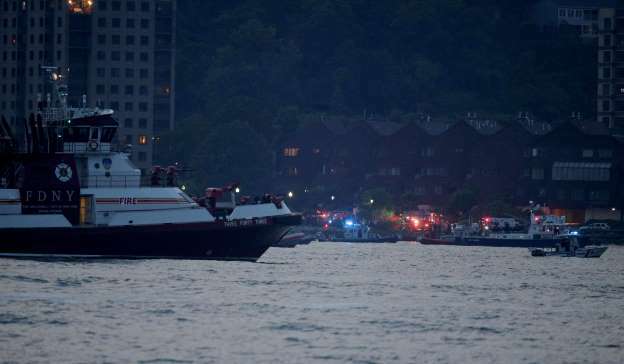 © (AP Photo/Julio Cortez) Riverside Park in the background, this shot is taken from the direction of New Jersey. Republic Aviation designed the P-47, and it is based on Long Island. One could argue that the P-47 was the best fighter for its time that Long Island ever produced, though Grumman would certainly have something to say about that. 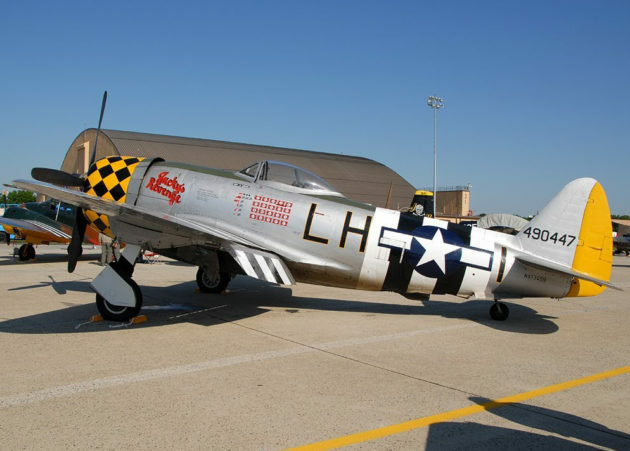 The bottom line is that the P-47 is associated with Long Island, and Long Island is associated with New York City, so the P-47 is as close as New York may ever get to having a home-town fighter to call its own. This plane you are looking at, in fact, flew out of Republic Airport in Farmingdale. © (AP Photo/Julio Cortez) The search for the plane on the night of the 27th. Anyway, William Gordon, a veteran show pilot, was flying this plane in formation with two other pilots on 27 May 2016 when it developed some sort of mechanical issue over New York City. A witness said that he saw the plane smoking. 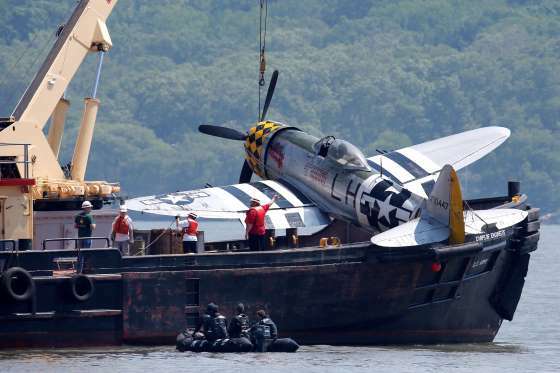 The P-47 made a U-turn and crash-landed in the Hudson near the George Washington Bridge, not far from Riverside Park. The authorities were right on it, but the pilot perished. 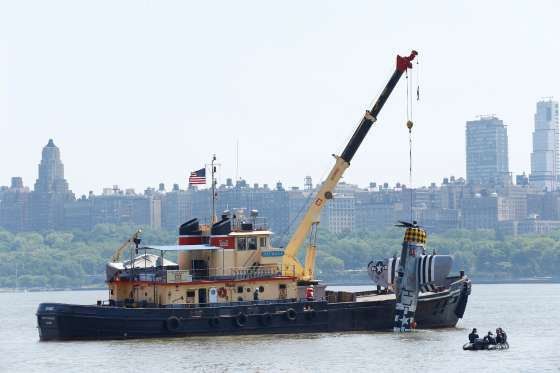 A barge recovered the plane on Saturday, 28 May 2016 in what appears to be pristine condition. The plane before it crashed. RIP brave pilot!